Because of its particularly favourable geographical location, the city of Bolzano/Bozen is one of the most important trade centres of the alpine region and it can be reached also by railway, airline, bikeways and pathways. Please, choose the most sustainable and responsible means of travel. The main railway Bologna – Verona – Bolzano/Bozen – Brenner – Innsbruck – Munich allows fast connections with all major cities both north and south of the Alps. 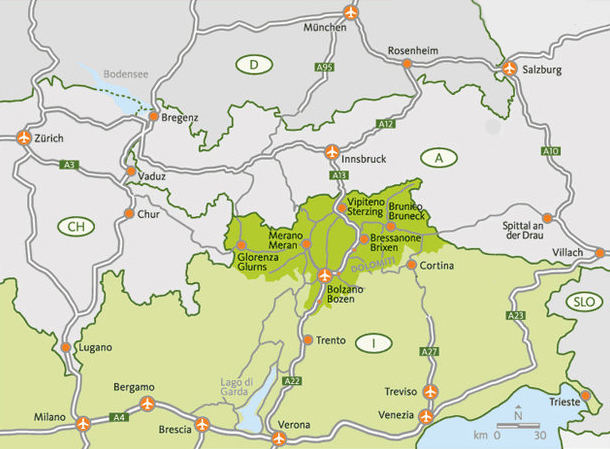 Bolzano/Bozen offers daily fast connections with the Eurocity train from and to Verona station. 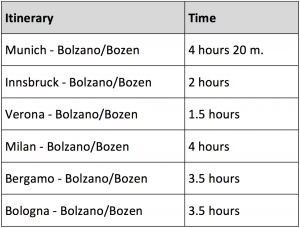 Besides those connections, regional trains depart every hour from and to Bolzano/Bozen. 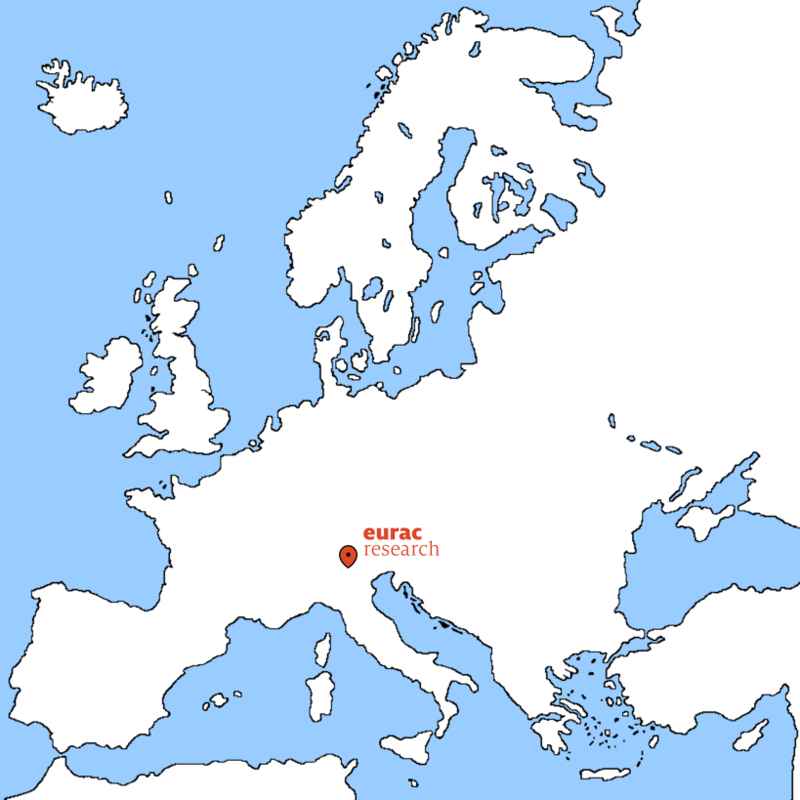 Daily fast connections with the Eurocity train from Bolzano/Bozen to Innsbruck and Munich station and also daily fast connections from Innsbruck and Munich to Bolzano/Bozen. The Bolzano/Bozen train station is located in the centre of town. The city Bolzano/Bozen is located directly on the Brenner Motorway, one of the most important European traffic veins for the transport of both goods and people. For the bike lovers among the guests there is the possibility to reach Bolzano/Bozen by bike. 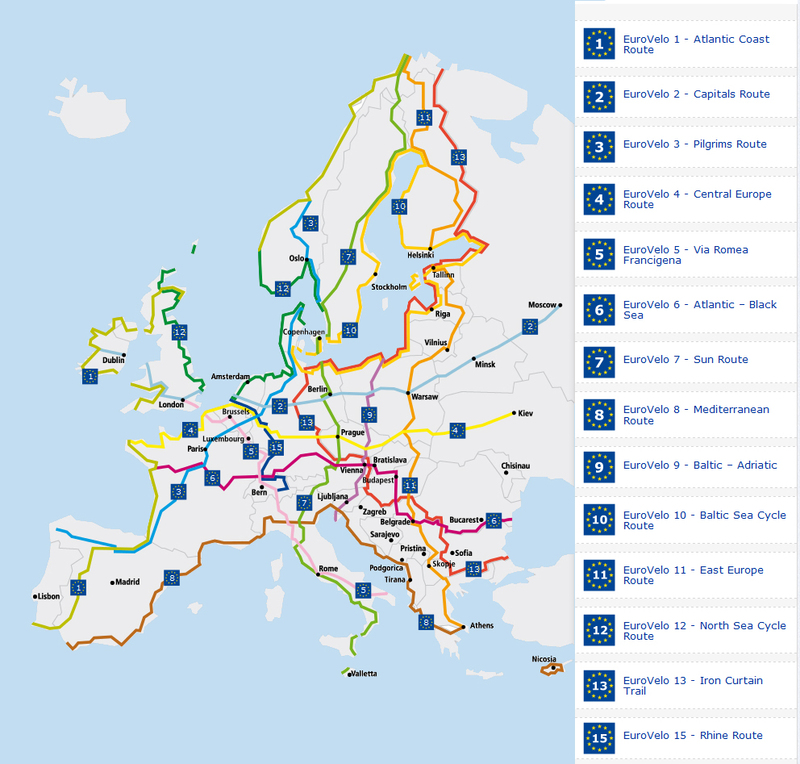 Some of the European bike routes lead exactly through the Alpine region and cross the city. Bolzano is located along the E5 trail, one of the most popular European trail that connect Cap du Raz (FR) with Venice (IT).